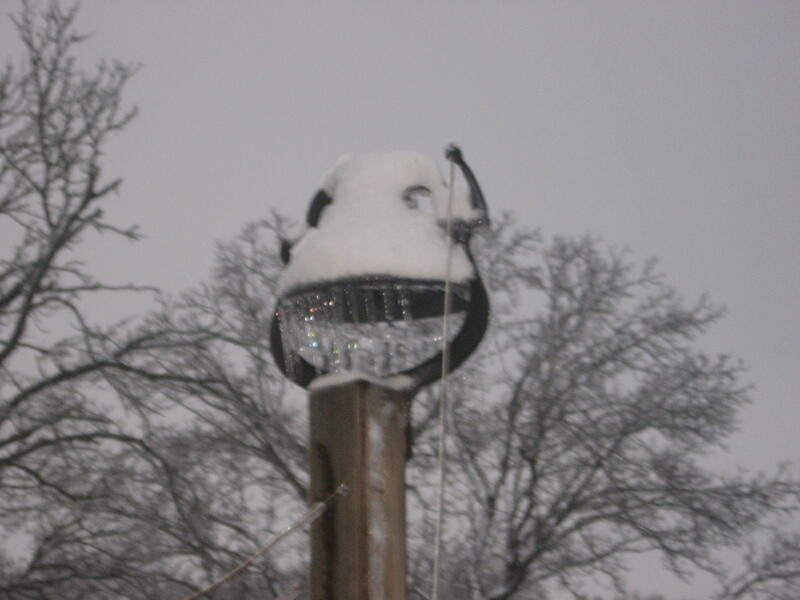 The farm bell froze in place during the last winter storm. Ice coated the pull rope and snow formed a dome on the housing. Icicles hung from the rim. The bell would not ring. The grandchildren love our farm bell. We let them have a chance to sound it to call Grandpa in from the orchard or the older kids from the creek. Some of them can’t reach the pull rope yet so we hold them up or have them stand on a lawn chair. The sound often startles them; they never expect such a BIG sound. But the word bell comes from the word bellow and we moms have all heard one or two of those. Perhaps we have been the ones bellowing! The frozen snow bell didn’t make a sound. It was stuck like a writer with writer’s block. It was stuck like a mom who can’t tell what to cook for supper. It was stuck like an artist facing an empty canvas; like any human trying to be creative can become stiffled. Then the sun came out after the storm passed. Soon the icicles fell and the heap of snow slid off the wrought iron. The ice on the rope dripped and dribbled down to the base of the pole. The bell was free and sat waiting for a tug to make it sound again. Its call of “Come in for supper,” and “Come back to the house,” and “someone’s waiting for you,” rang sweetly again! The cold places in our lives can often leave us feeling ignoble (common or low) rather than the noble persons God called us to be. The warmth of God’s grace and mercy comes though, like the sun on the bell, when we pray and seek him. It thaws us and melts away the cold that surrounds us and stops us. God frees us from the aching cold of our own selfishness and allows us to be useful again. Let the bell ring sweet and loud!